After a sufficient amount of days, they were again questioned, and again they were beaten and imprisoned a second time. There they were enfeebled with hunger and thirst, so the ruler decided to give them over to the wild beasts, in order to fight against them. 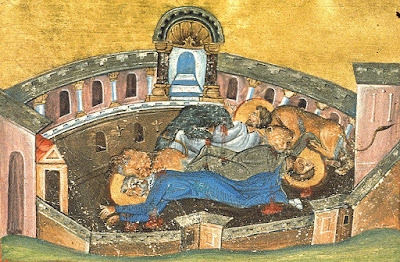 As the Saints stood in the stadium, various beasts were released at them, and the Martyrs of Christ prayed that they may be perfected by such a martyrdom. God heard the prayers of His servants, and He received their souls, as they requested. 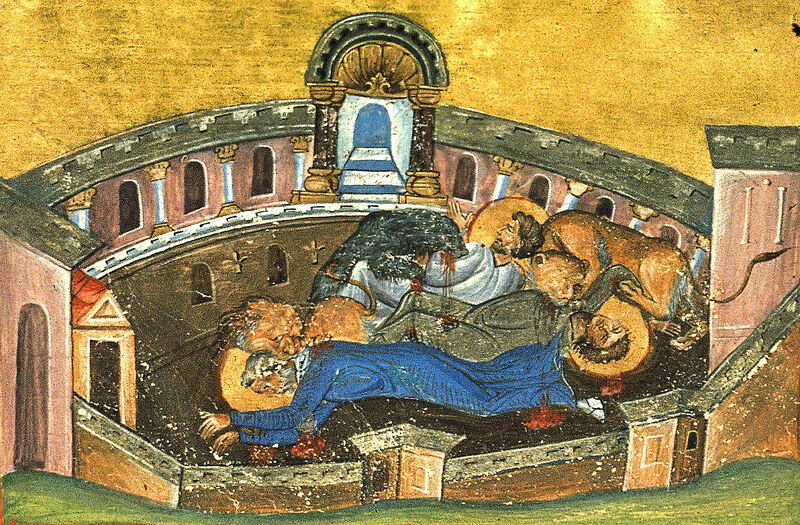 Then the wild beasts reverenced the relics of the Saints, and without completely touching them, they departed. When night came, some Christians went and stole them, and had them buried with honors, while glorifying and thanking God.